The all-new 2019 Ram 1500 is stronger, handsomer, and more refined than ever, giving drivers the rugged performance they need and the upscale comfort they crave. Why Buy the All-New 2019 Ram 1500? 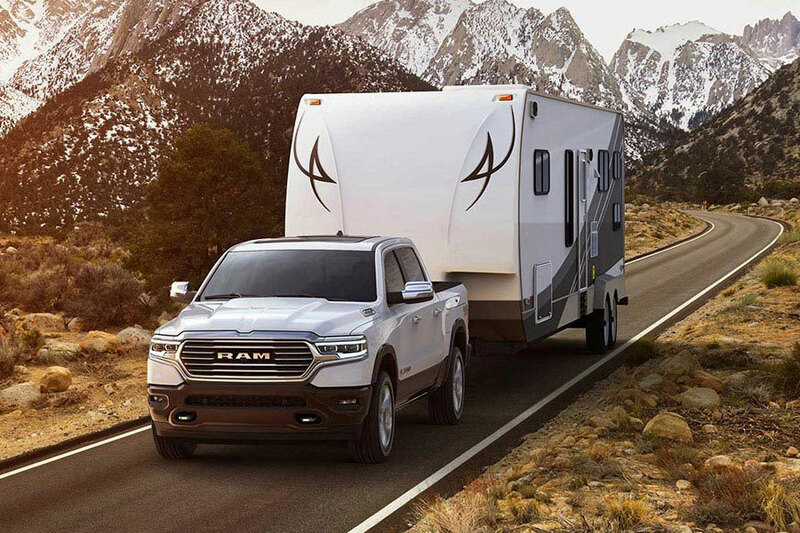 For drivers who require hefty towing and hauling capabilities, but also crave rich interior comfort and style, it’s impossible to do better than the all-new 2019 Ram 1500. 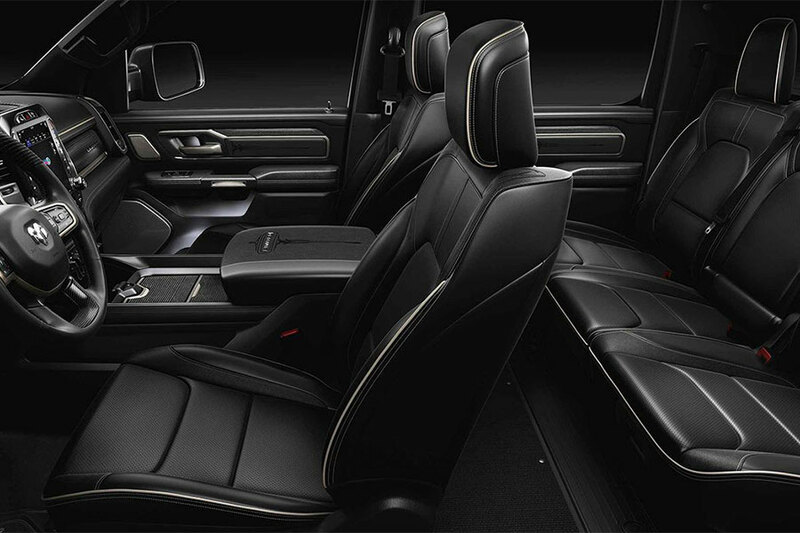 This full-size truck has long been known for its best-in-class interior comfort, with upscale extras like refined leather upholstery and heated and ventilated front seats. However, this year, Ram is kicking things up a notch. The 1500’s lighter, stronger body design delivers greater towing and hauling capabilities than previous Ram 1500 trucks. This all-new truck also features a retuned suspension, amplifying the smooth ride without sacrificing overall towing and hauling performance. What’s New for the 2019 Ram 1500? This light-duty pickup has been completely redesigned for the 2019 model year. This all-new truck improves on the outgoing generation but also builds upon the Ram’s strengths. In spite of a newly strengthened steel frame, this truck is almost 225 pounds lighter than the previous model. That means increased towing and hauling capabilities. The lighter body also makes the Ram 1500 easier to handle in a tight spot. If you’re a Ram enthusiast, you’ll recognize the class-exclusive coil-spring rear suspension, which gives this truck its best-in-class ride smoothness. This year, the suspension has been fine-tuned to improve off-road capabilities and take ride comfort to the next level. The all-new 2019 Ram 1500 is introducing a mild hybrid engine assist system called eTorque. It’s not a traditional hybrid system, however. Rather, eTorque stores power in a lithium battery to help the engine stop-start system work as smoothly as possible. That way, the stop-start system helps you save gas when you’re stopped in traffic, and eTorque helps you forget the system is even there. This full-size truck is also loaded with new tech features. The optional 12-inch infotainment display is the biggest in the business. This massive interface makes you far less likely to fat-finger the wrong app, even with most of your focus on the road ahead. This year, Uconnect infotainment system is standard equipment. It’s easy to use, with intuitive menus and voice controls. Uconnect also includes Apple CarPlay and Android Auto, so you can access smartphone apps from the central touchscreen. How Much Can the Ram 1500 Tow and Haul? The all-new 2019 Ram 1500 can tow and haul impressive workloads. Depending on configuration, this sturdy workhorse can tow up to 12,750 pounds. That puts the Ram at the top of the full-size truck segment, giving you the power to move heavy trailers or big boats whenever you please. Properly equipped, this truck can haul max payloads of 2,300 pounds. The Ram will transport your heavy work gear or camping supplies, no problem. Is the Ram 1500 Reliable? The 2019 all-new Ram is specially designed for durability. With a strong engine lineup, the Ram tows and hauls heavy loads with impressive composure. But you can also count on the Ram to deliver a rugged performance, on-road and off, for years to come.